← Join Us This Holiday Season For Some Elf Magic!! Thanks for sharing a day in your life with us. It is busy and full, but I hear your contentment above all. You definitely count your blessings! Wonderful post! Yes, as we work hard all summer, enjoying the light and warmth we dream of winters spent before the fire (tended by?) soaking in the warmth, cuddling a cat, patting a dog while we knit or spin. Maybe someday! But not while we can still move, right? And certainly not if one has farm animals! The work never ends! But if you can do all that before dark, I give you loads of credit, the days are so short now. Oops–As I was saying, I suspect you appreciate the quiet moments, and the warm bed, more than most of us can even imagine! Oh, I know how that goes. There are some sorts of work that slow down in winter, but others that start up! We can not keep the drains clear when the rain starts! Rhody did happen to get some good rubbing today though. This post really captures both the work and the pleasure of rural Maine life in winter. 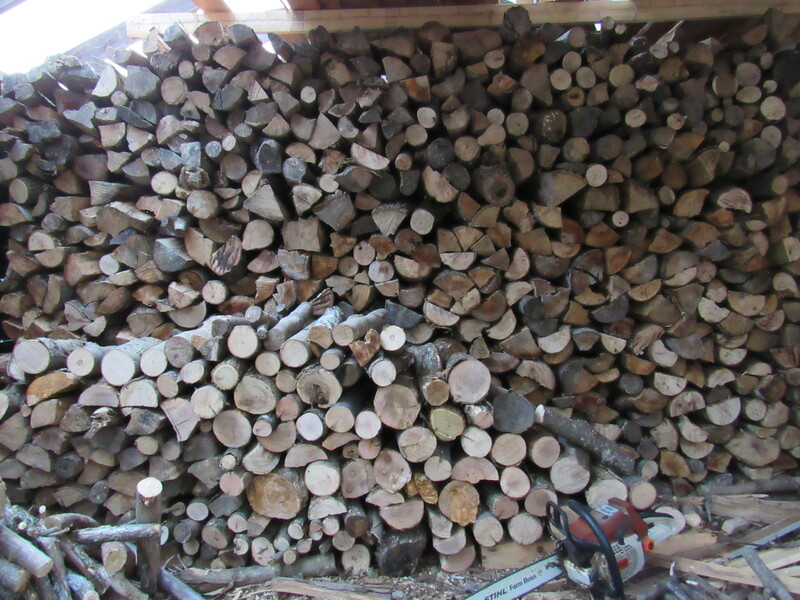 I don’t have animals to tend or a nursery to run, and I order my firewood already cut and split, but I always say “Who needs a gym when there is wood to be hauled around and snow to be shoveled all winter long?” Enjoy the special beauties of winter and happy holidays.